The Mother- Daughter relationship is a unique one. No one has influenced the person we are today more than our Mothers. The death of our Mother can cause strong grief reactions, and a re evaluation of the sometimes wonderful, and sometimes painful experiences of being mothered. One of the gifts of a bereavement support group is the shared story of grief, the affirmation and validation, and normalizing of the grief journey… the feeling that we are not alone on this healing journey. 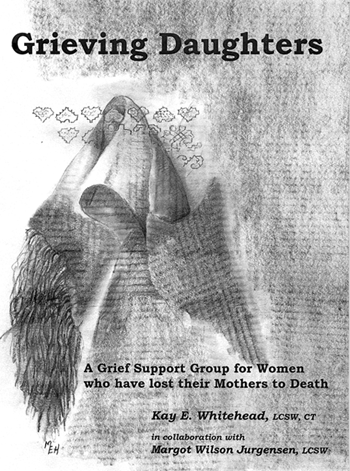 This revised group manual has been used in bereavement group over the years, and we offer it to you. Adding your own readings and reflections will make it “your own” as you use it in groups. A signed manual from the authors mailed to your location: tax and shipping included. US mailing addresses only.